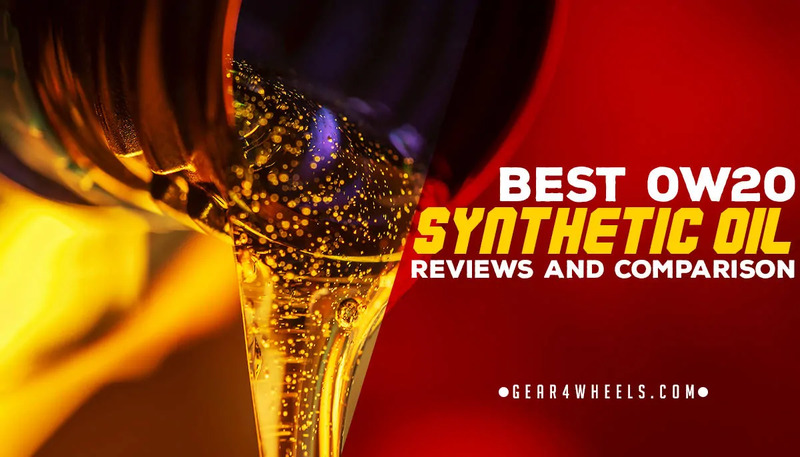 When talking about motor oil, the best in the industry are true synthetics. Unlike traditional dino oil, these products are much better at handling temperature extremes and maintaining a high level of viscosity throughout the life of your engine. To ensure that your oil is purely synthetic, it has to be of the base group IV or V, as any other base stock isn't a pure synthetic but rather a synthetic blend. The 0w20 is one of the most common SAEs and we've got ton of requests about what the best options are. Here are our top 5 picks. 0w20 Synthetic Oil Comparison Chart. As a fully synthetic motor oil, Valvoline’s SynPower brand is expertly designed to add performance and reliability to your car’s engine. It works by battling the three elements that corrode your engine: heat, deposits, and wear. Thus, it will hold up better in most environments, particularly when compared to other versions such as 5W or 10W. Not only that, but it comes with incredible protection against sludge and varnish, which helps everything run more smoothly and extends the life of your engine. One crucial aspect of this oil is its viscosity stability, which is much better at higher temperatures than most other brands. In fact, it will even hold its own in severe driving conditions where high heat can be a major problem for your vehicle. Conversely, this oil also has an incredible viscosity at cold temperatures as well. It is formulated for improved cold starts and has a much better flow on startup. The anti-wear additives keep friction down and extend the life of the engine. Overall, this oil is built for better fuel efficiency, lower emissions, and reduced wear and tear. When using this product, you won’t have to work as hard to keep your vehicle in pristine condition, as it does most of the work for you. Finally, it is proudly made in the USA by the oldest motor oil manufacturer in the country, which I think counts for something. When trying to pick out the best motor oil for your car, you can either go with a local brand like Pennzoil or Mobil 1, or you can try your hand with an international brand. Liquimoly 2208 is made in Germany, but remarkably it is designed with Japanese and American cars in mind. As such, it is rated for both the American Petroleum Institute and the International Lubricants Standardization and Approval Committee. As far as fully synthetic oils go, this one is made for high-performance vehicles. Thankfully, even if you aren’t driving something as intense as a Lamborghini or Maserati, it can still improve the handling and feel of your ride. In fact, when you swap out your current oil for Liquimoly, you’ll wonder how you ever managed without it. Much like all 0W-20 synthetics, this oil also has an improved temperature range for those living in colder environments. Thus, if you are worried about snow and ice damaging the components of your car, you will appreciate the fact that this oil works best with a cold start. Better yet, it still has a high viscosity in hot weather, too. The only downside to this oil is that it costs much more than domestic brands because it comes from overseas. However, according to most people who use it, the extra price is well worth it, considering that it can hold its own longer than most other oils. This next motor oil is a synthetic like no other. Pennzoil Platinum Oil is derived from natural gas, which means that it has a better viscosity rating and cleans up your car’s engine much better than the competition. So why is natural gas better? Because it doesn’t have the same impurities and deposits that come from traditional petroleum. Pennzoil Platinum is so pure that it will clean your pistons by up to 40%. Cleanliness is not the only reason to get this oil. It also improves your fuel economy because it doesn’t leave as many deposits in your engine. Also, it lasts longer than the competition, so you can go longer in between oil changes without risking any damage to your car. Finally, it even protects your engine from loss of power that can come from shoddy oil. As with all 0W-20 synthetics, this oil is designed for newer cars. As such, and like most synthetic oils, not to advise its use on classic cars. One of the things that modern motor oil has to endure is increased pressure. Newer engines can exert tremendous force on various components, meaning that the oil has to remain in peak condition even when exposed to such a harsh environment. Fortunately, this Castrol EDGE Synthetic Motor Oil is built to withstand such pressure, utilizing titanium fluid technology to ensure that its viscosity remains in peak condition at all times. Because this oil is specially formulated, it helps improve your vehicle’s engine in a variety of ways. First, it works well on cold starts and higher temperatures. The overall range of this oil is superior to most others, making it ideal for high-performance and newer cars. Second, it can help reduce deposits by up to 42%, making it superior to most other synthetics. Not only that, but the improved viscosity also protects against standard wear and oxidation of your engine so that it will last longer. In fact, this oil is three times stronger at preventing breakdown than other versions. Overall, this is an incredible synthetic oil that will instantly improve the performance and handling of your car. There is really no downside to it at all. When comparing different high-performance motor oils, it helps to know the background of the company making it. In this case, Royal Purple made a name for itself by working with race cars, meaning that the brand knows a thing or two about making sure that its oil performs well under pressure. Overall, this fully synthetic oil is designed to protect your engine from metal on metal contact in any condition. Whether zipping down the race track or heading to the mall, your car will be in peak performance mode as soon as you switch to Royal Purple. As such, I only recommend getting this oil if you have a car that can handle it. Oddly enough, though, even though Royal Purple is a bit finicky with certain makes and models, this particular version is designed to be compatible with ethanol-based fuels, as well as diesel engines. This creates a bit of a paradox, as it is both more and less versatile than other oils I’ve seen.